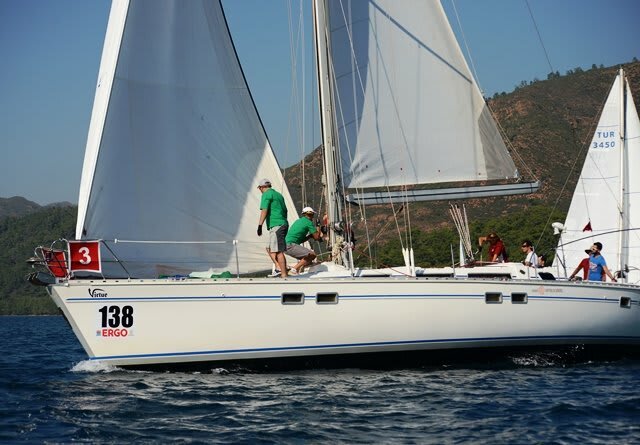 "Smiley Too", a Beneteau 50, built by the largest sailing yacht company in the world, combines a Bruce Farr-designed hull with a tried and test layout that has proven itself over many thousands of sea miles. 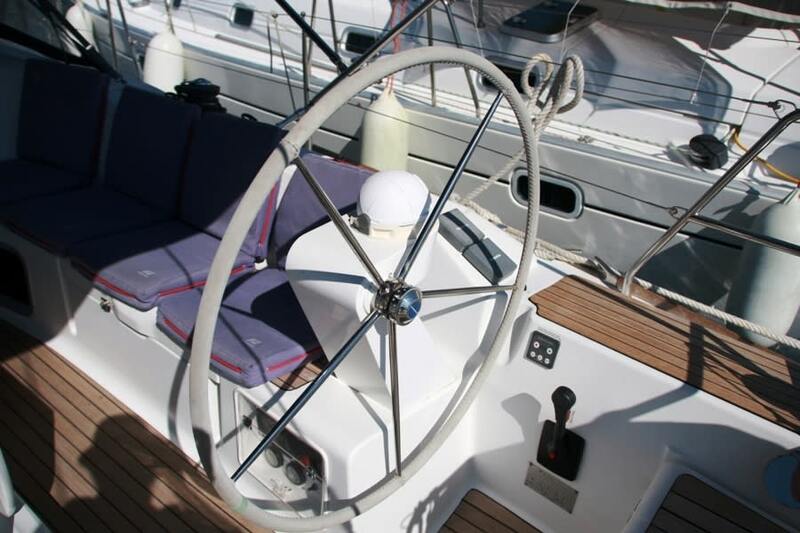 As expected, Farr has produced a set of well balanced lines that make for relaxed directional control and an easy motion. 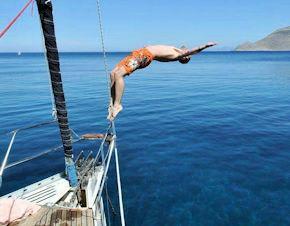 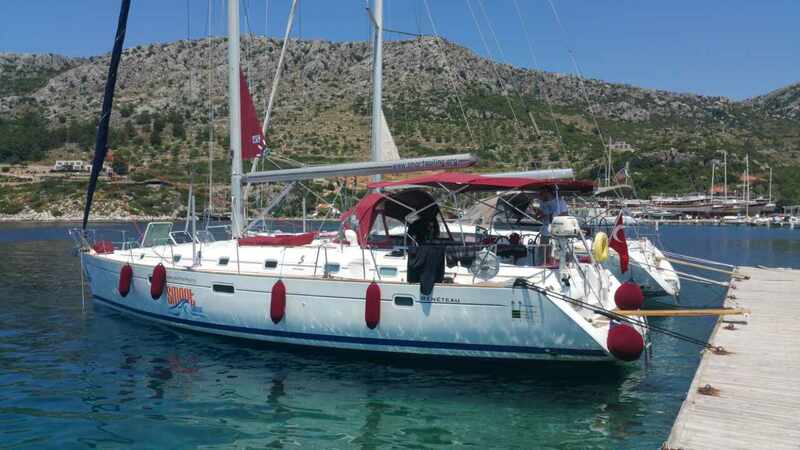 The result is a fast, seaworthy and comfortable sailing yacht, perfect for cruising, training and charter alike. 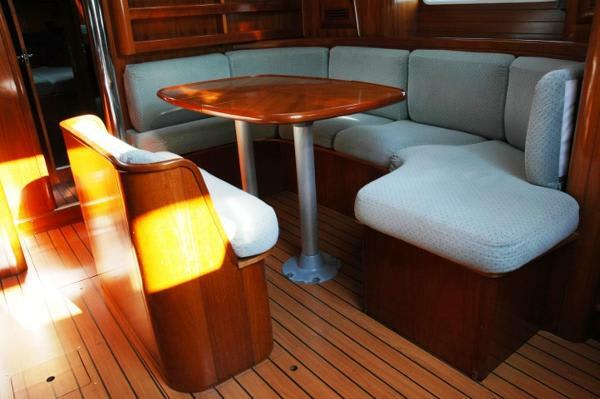 "Smiley Too" offers an overall concept of space and interior design that borders on the ease and comfort of a much larger yacht. 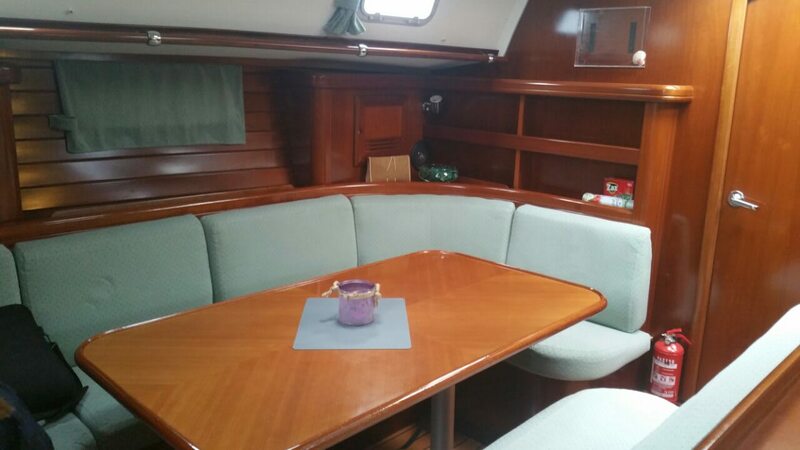 The choice of quality material such as teak/wild cherry tree, and the carefully detailed finish work combine for a high level of craftsmanship. 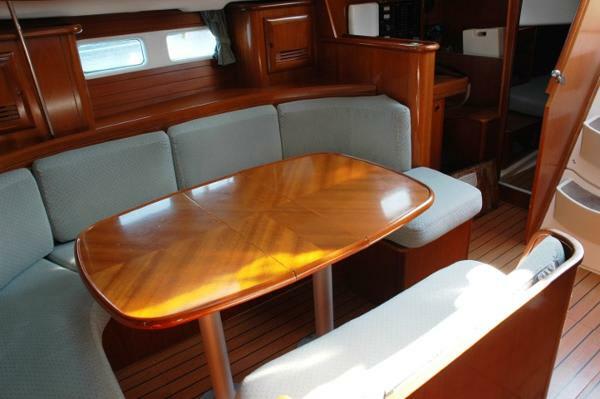 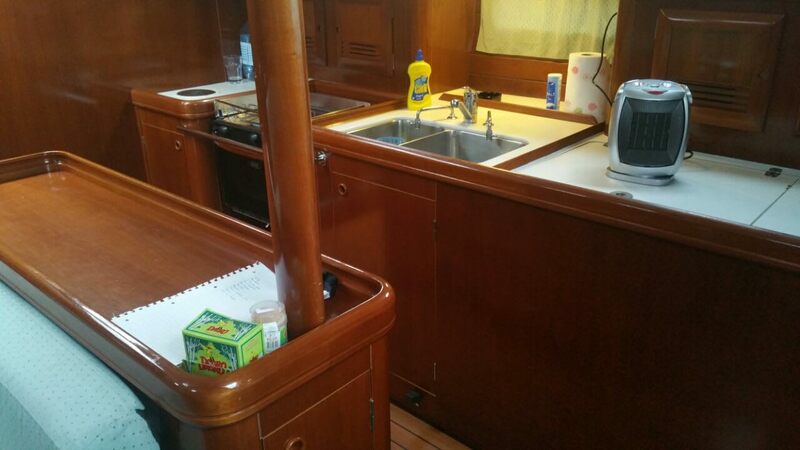 A substantial open-plan galley and saloon are practical and pleasant to use; galley is fully functional with a quality stove, oven, coffee machine, double sink and refrigerator/freezer. 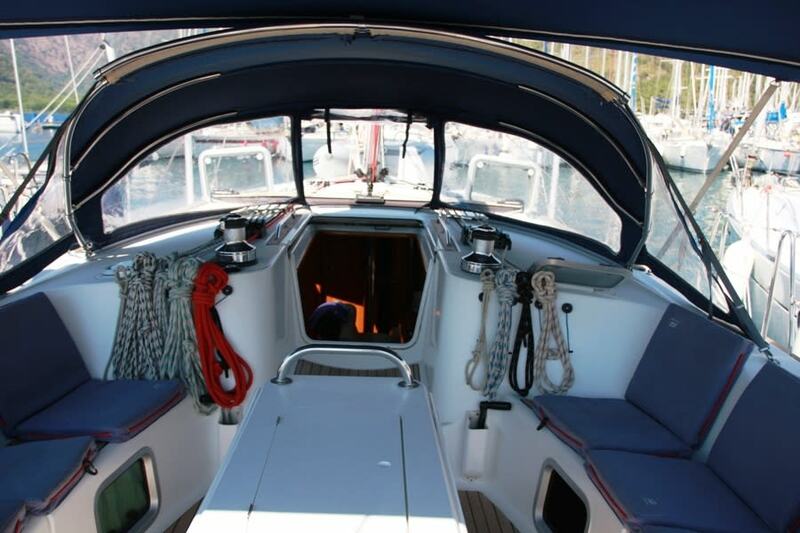 Many hatches and portholes provide soft natural lighting and ventilation throughout the interior. 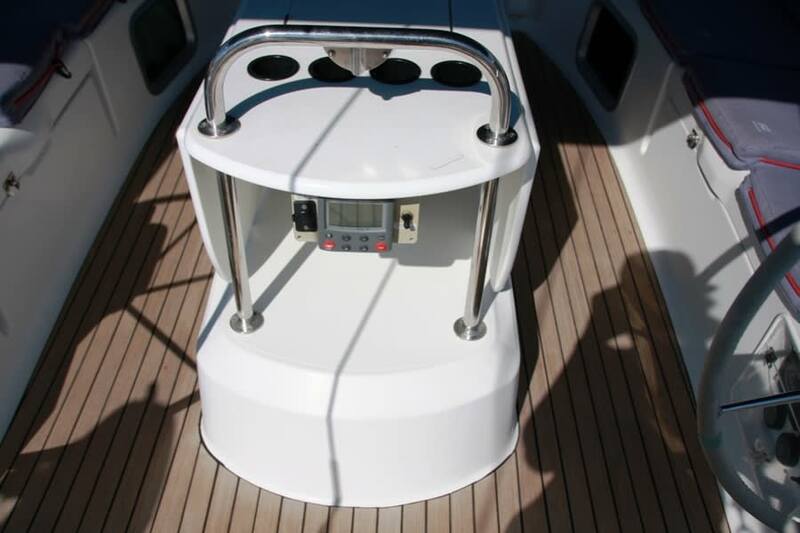 The overhead hatches offer plenty of additional lighting during the day and hidden shades pull across for privacy at night. 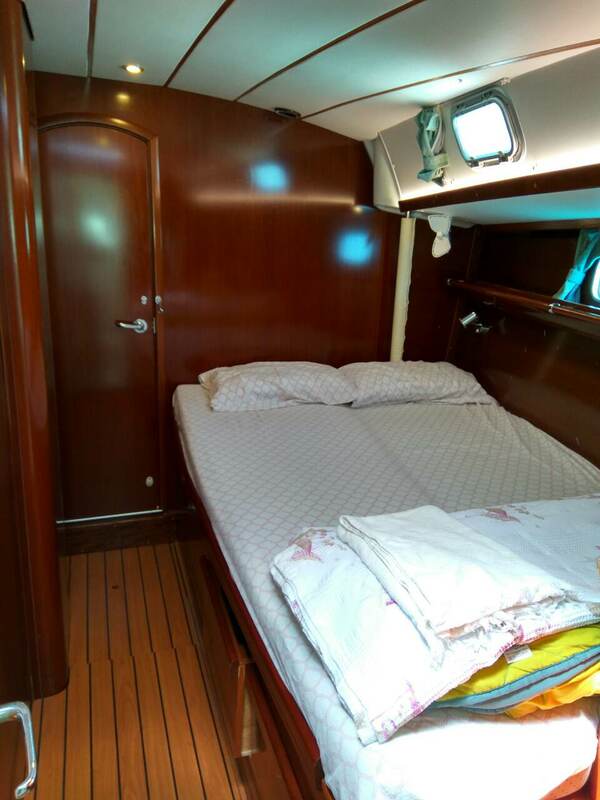 There are a total of 5 cabins aboard (two master cabins, two guest cabins and crew quarters), providing comfortable living space for up to 10 people. 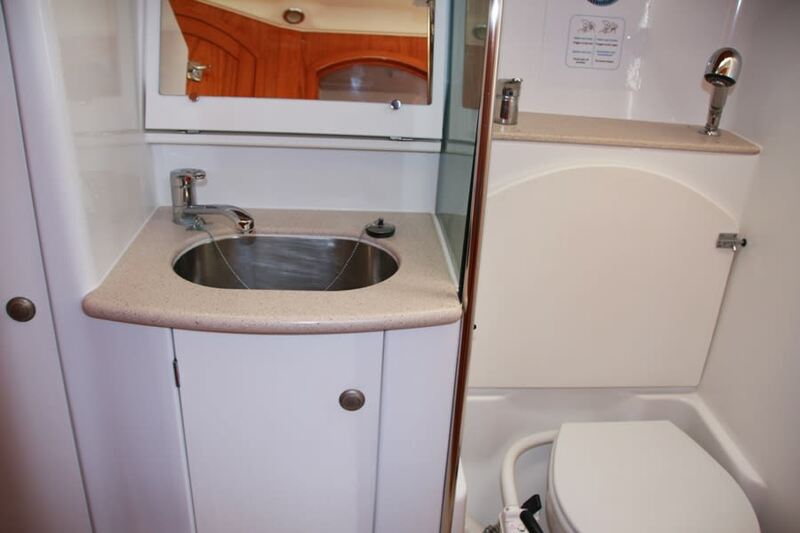 Each of the cabins has its own separate head with shower, toilet, and sink. 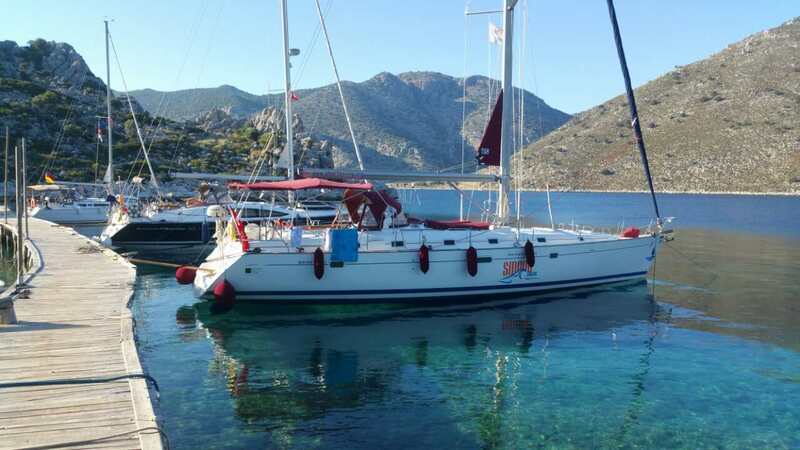 Additional amenities include air-conditioning, bowthruster, hydraulic steering, electric toilets, fans in each cabin, electric sail trimming winch, sunbeds, pressurized hot/cold water, Hi-fi music system, large tender with outboard and much more! 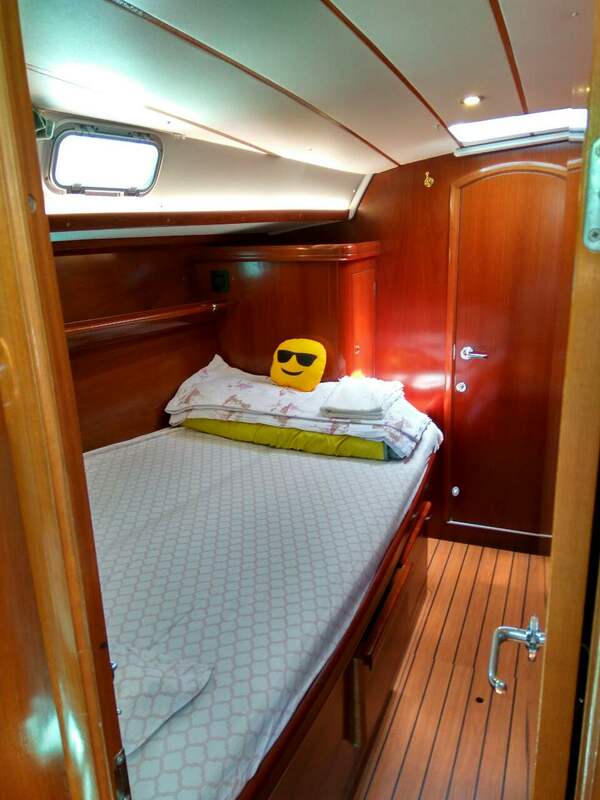 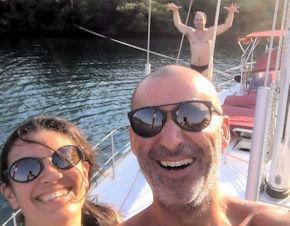 That having been said, "Smiley Too" is the perfect yacht to start your sailing adventure aboard, all without compromising on the luxuries and comforts usually found at home! 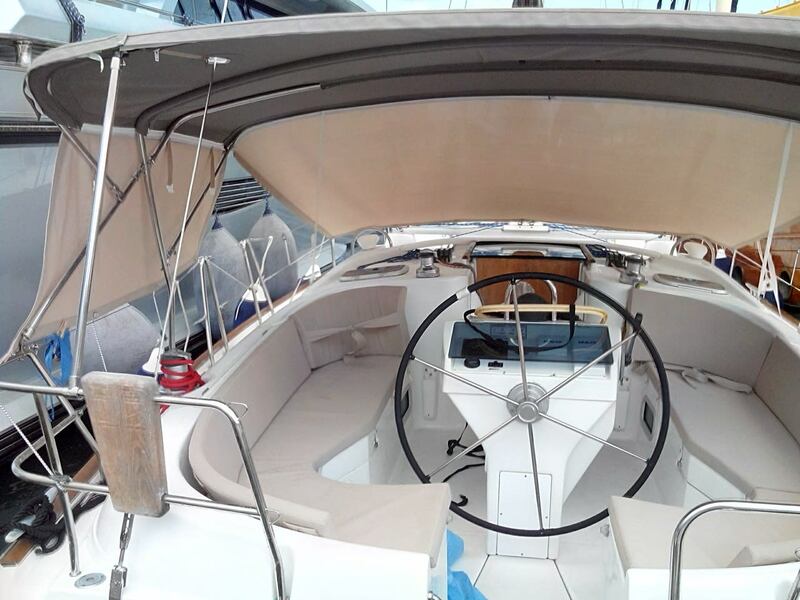 "Virtue", a Jeanneau Sun Odyssey 51, was designed by the world-renown Bruce Farr, the man whose designs have won the America's Cup, the Volvo Ocean Race, the Sydney-Hobart Race and the Rolex FastNet. 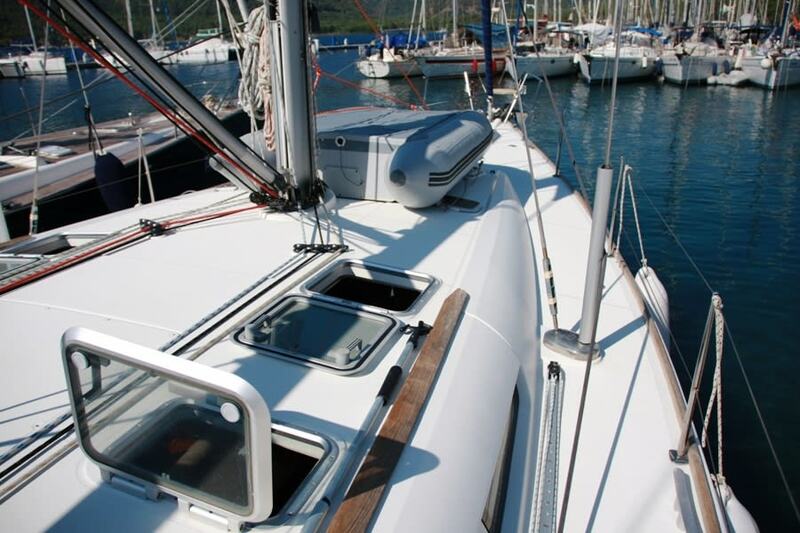 Built before the absorption of the company by Beneteau, she still boasts the reliable durability Jeanneau was known for. 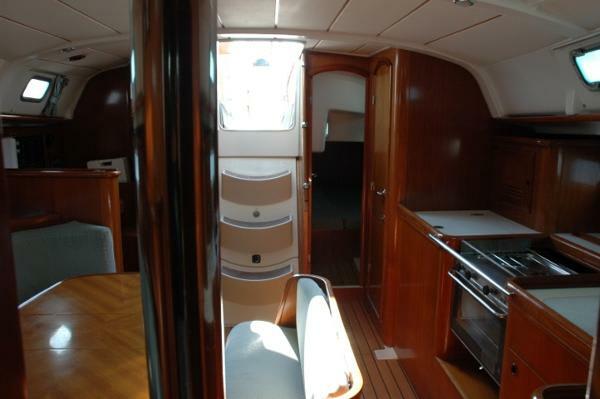 The result is a fast, seaworthy and comfortable sailing yacht, perfect for cruising, training and charter alike. 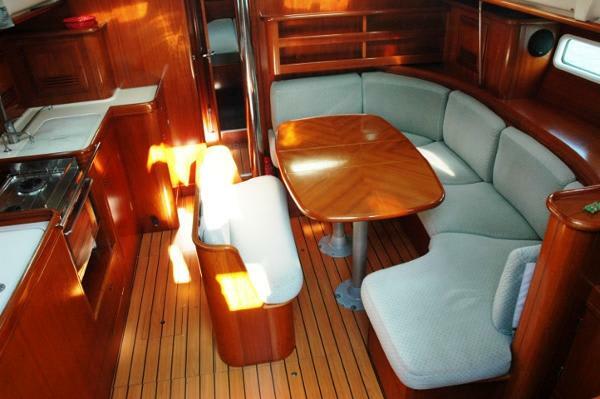 "Virtue" offers an overall concept of space and interior design that borders on the ease and comfort of a luxury yacht. 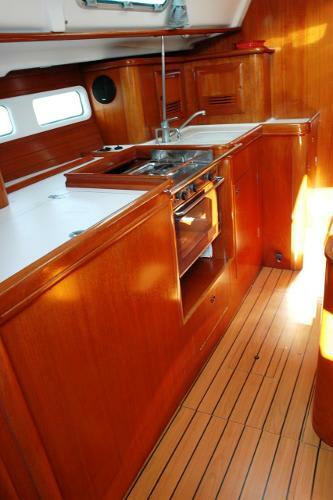 The choice of quality material such as teak, and the carefully detailed finish work combine for a high level of craftsmanship. 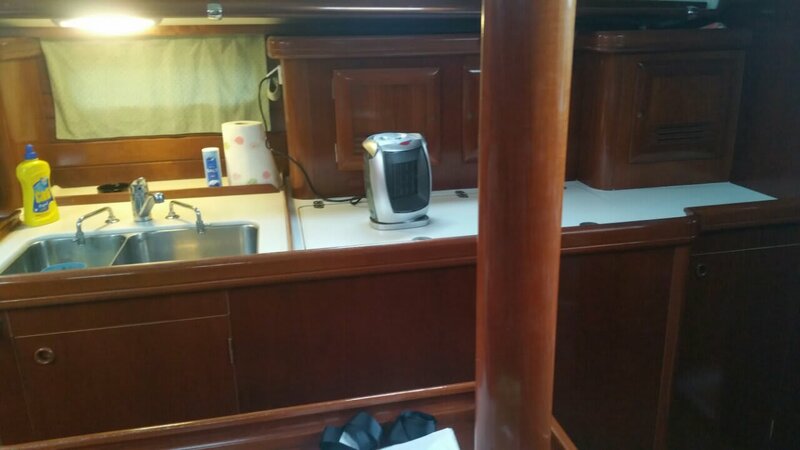 The U-shaped galley is wide, well ventilated, and is fully functional with a quality stove, oven, icebox, coffee machine, double sink and refrigerator. 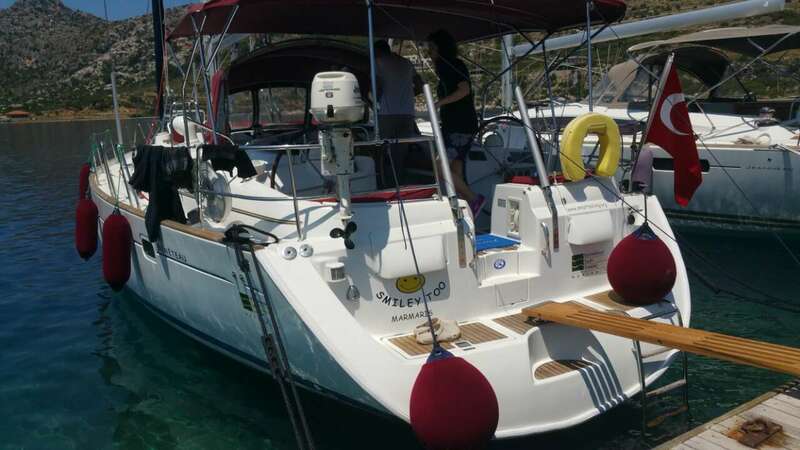 The salon is warm and friendly and the navigation station has been particularly well designed, fully equipped with the latest in navigational technology. 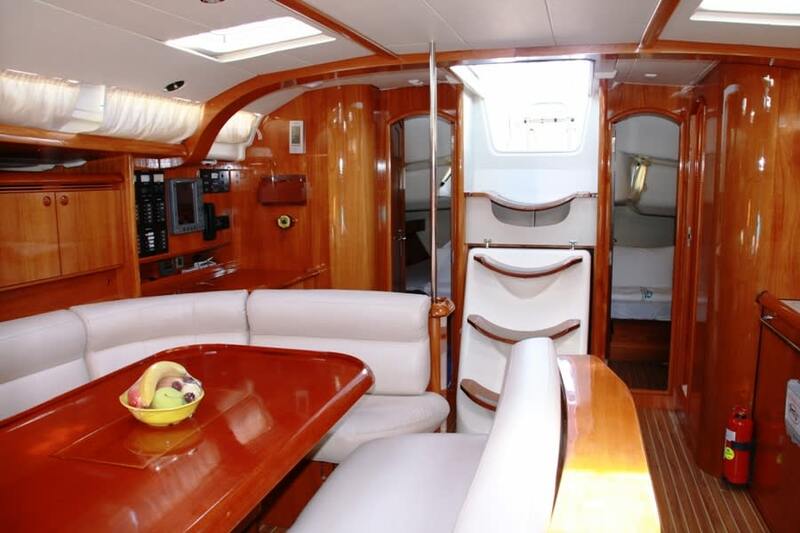 Many hatches and portholes provide soft natural lighting throughout the interior. 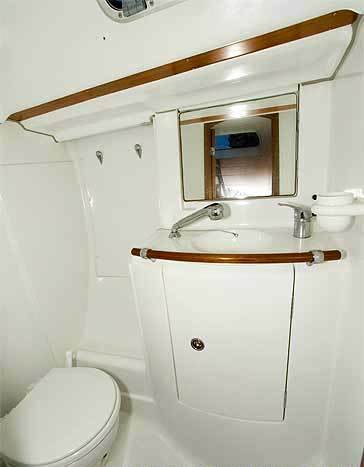 The overhead skylights offer plenty of additional lighting during the day and hidden shades pull across for privacy at night. 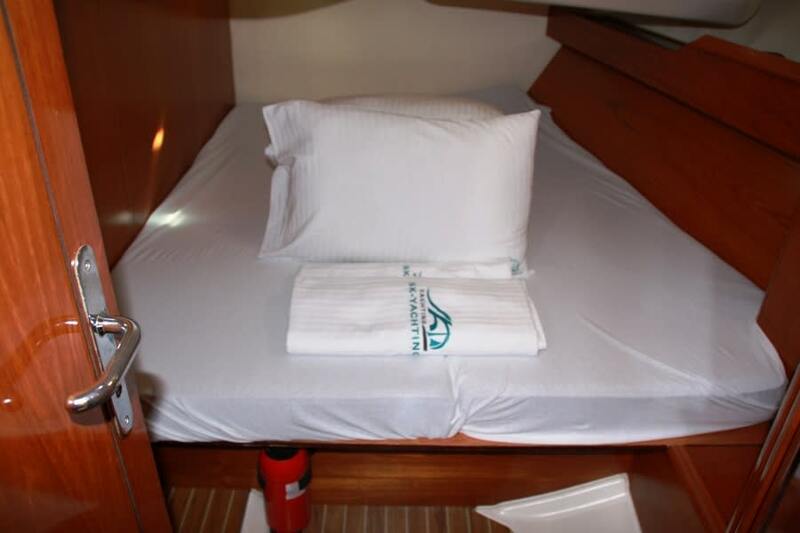 There are a total of 5 cabins aboard (two master cabins, two guest cabins and crew quarters), providing comfortable living space for up to 10 people. 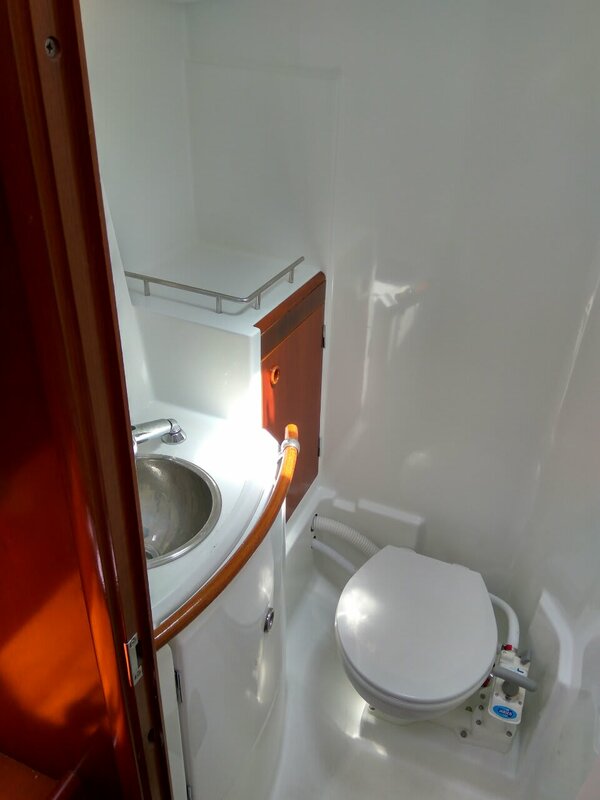 Each of the cabins has its own separate head with shower, toilet, and sink. 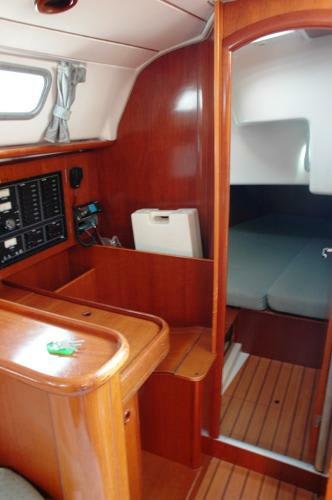 Additional amenities include an 8kW generator, full air-conditioning, electric toilets, electric furling system, electric winches, sunbeds, pressurized hot/cold water, TV/DVD, Hi-fi music system, large tender with a 15HP outboard and much more! 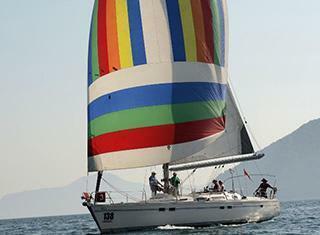 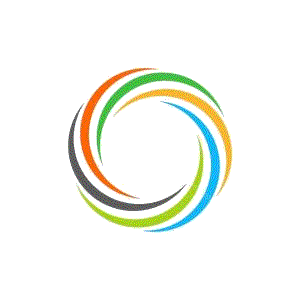 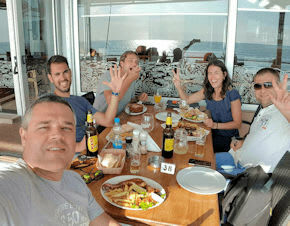 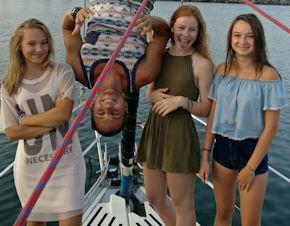 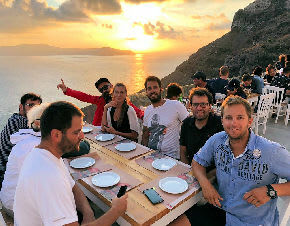 That having been said, "Virtue" is the perfect platform for both training and charter, an ideal way to experience the joy of sailing, proving, that you can, in fact, mix the best of both worlds: comfort and adventure! 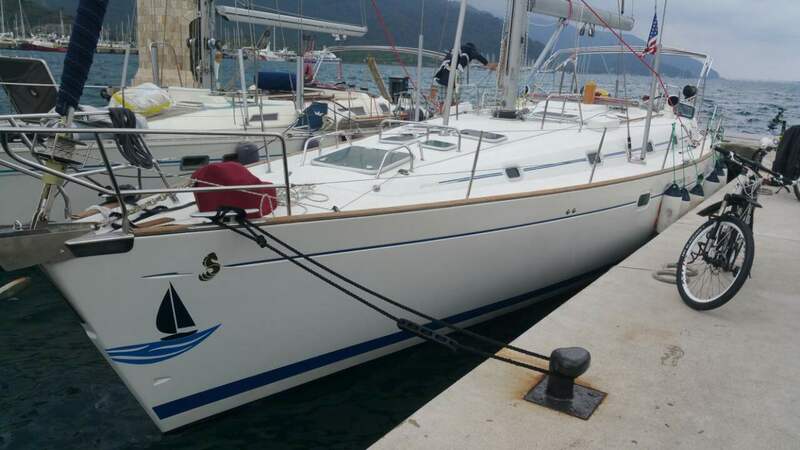 The Oceanis 411 Clipper is one of Beneteau's most successful yachts, over 1200 are still sailing the world’s waters to this day. 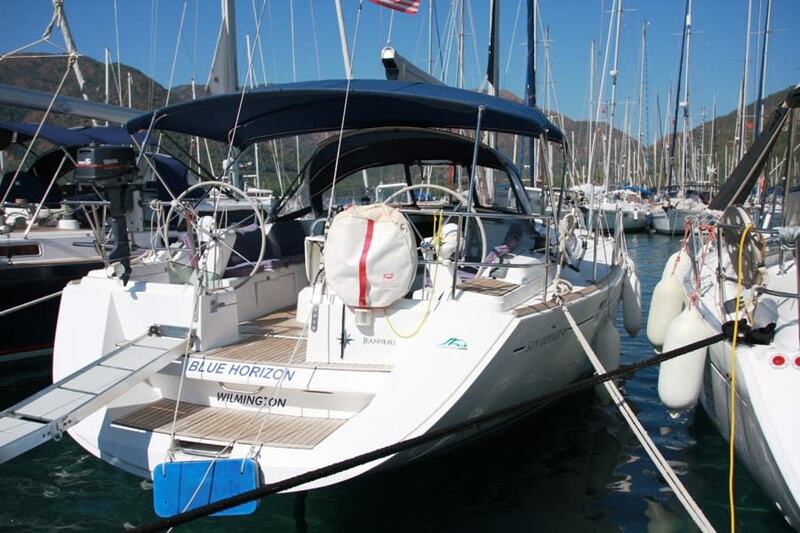 Designed to be blue water capable but easy to handle, she offers great accommodation along with very good sailing characteristics. 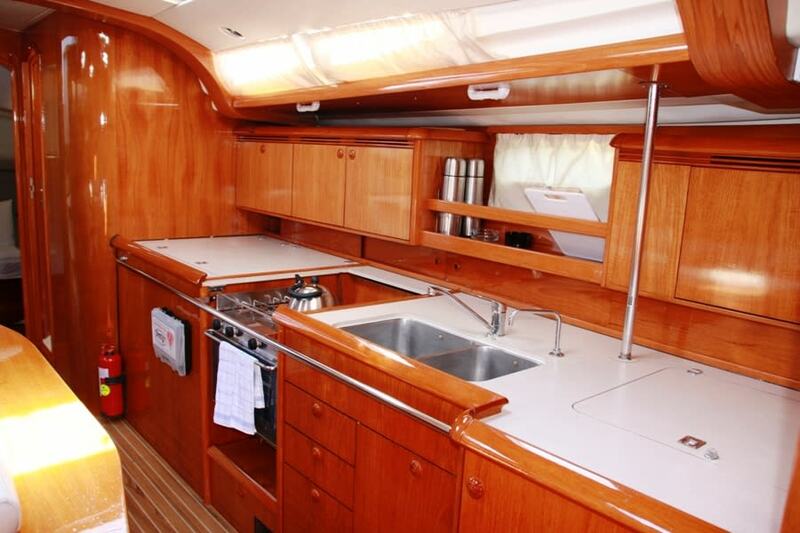 “Smart Too” has four separate cabins and two heads, along with a linear galley and an airy U-shaped saloon. 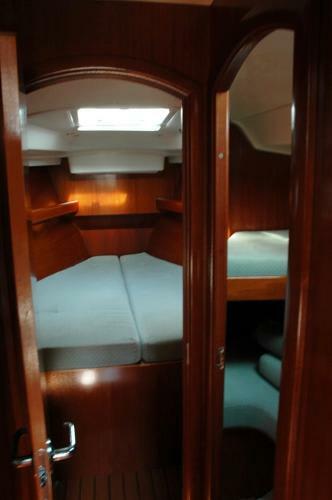 Easily sleeping 8 people (plus two in the saloon), there is plenty of storage for provisions and luggage. 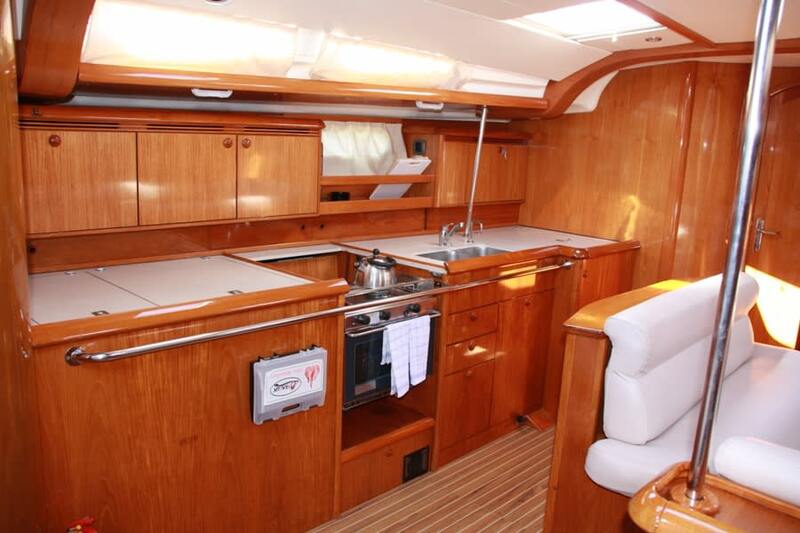 Boasting amenities that include an air conditioning/heating system, hot and cold water, a stereo system, sunbeds on deck, refrigerator/freezer and much more! 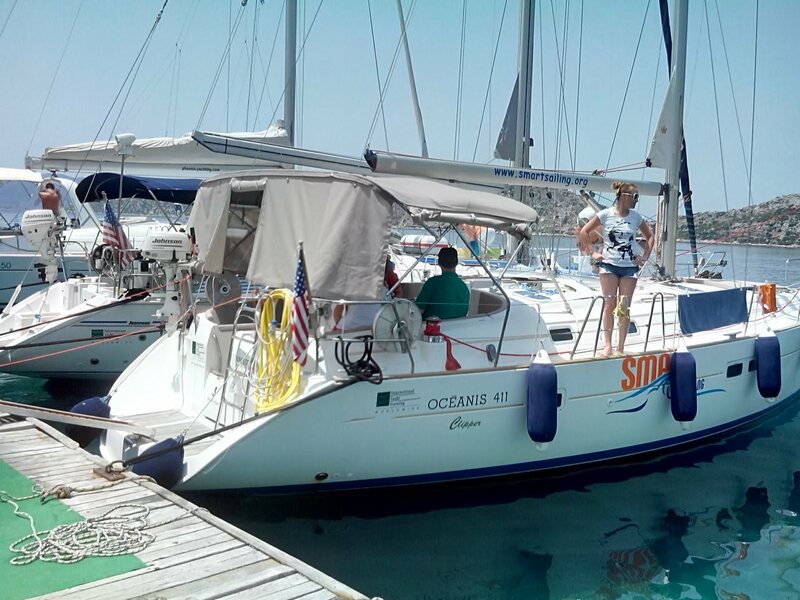 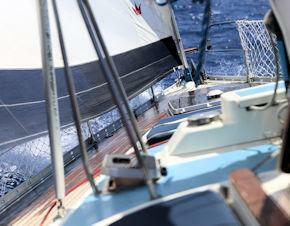 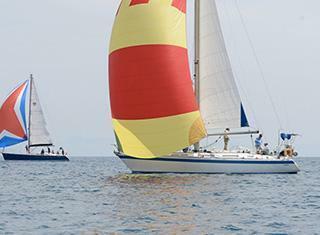 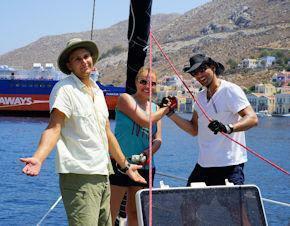 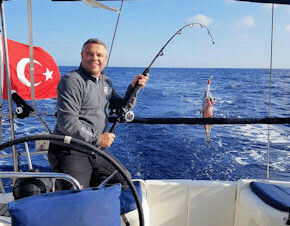 Equipped with the latest safety equipment, “Smart Too” is a proven design that’s both fun AND safe to sail. 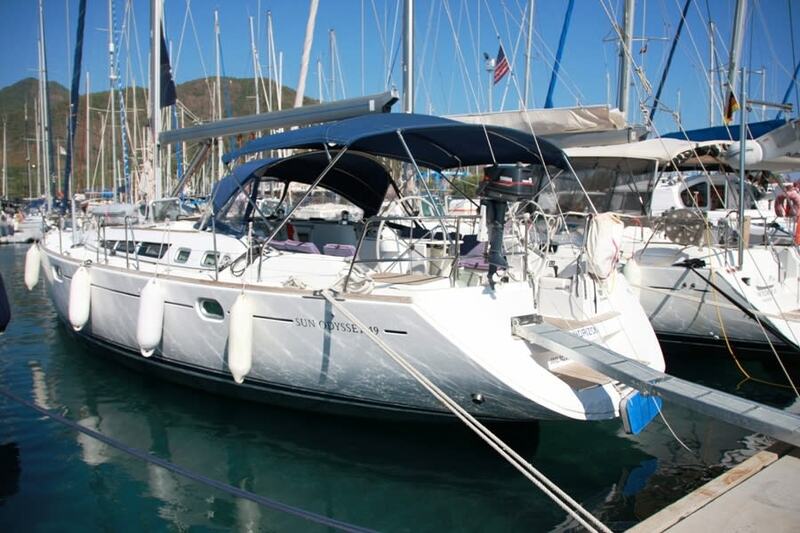 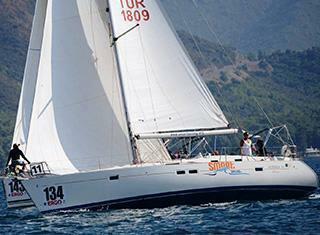 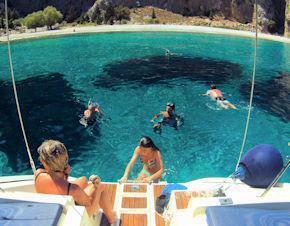 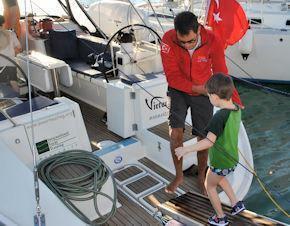 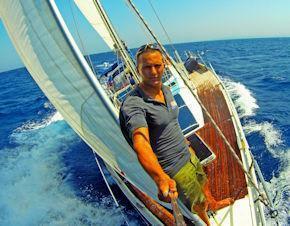 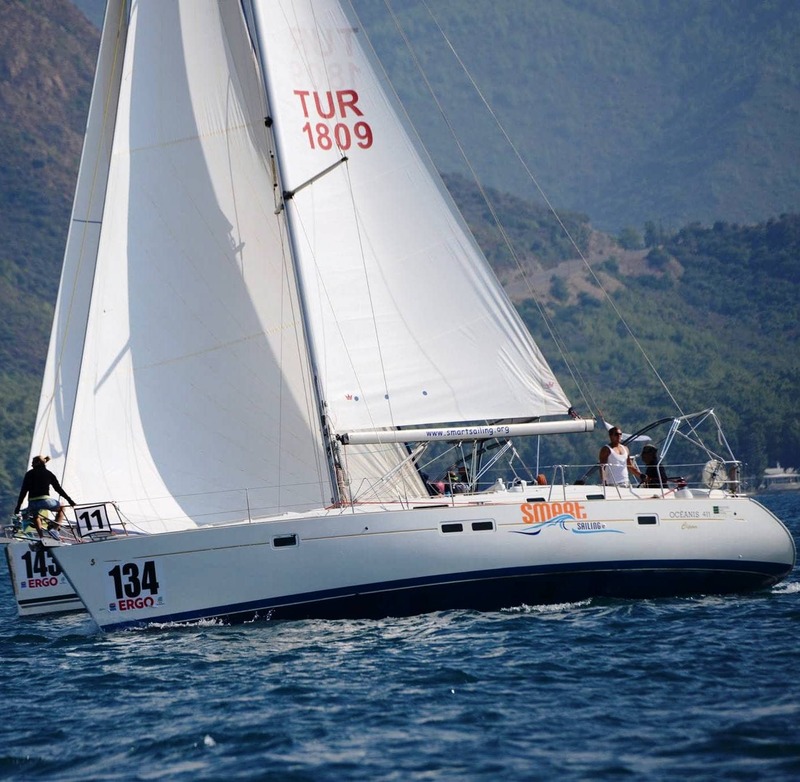 So whether you want to learn sailing or just relax, this fast and stable yacht will take you where you wish to go!